Formed in 2001, the World Wind Energy Association objective and purpose is to promote wind energy as a cornerstone for world renewable energy – to extend to supply 100% of the world energy system. Holding an annual conference has been one of the five basic principles of the Association. So this conference plays an important part in the work program of the Association which has more than 600 members, many of which are themselves associations. The membership comes from more than 100 countries. We have a long list of achievements including having a strong involvement in the establishment of both REN 21 – the global network which publishes the R.E. Global Status Report and IRENA – the international body now made up of 176 nations – 149 full members and 27 in process of accession. Also a foundation member of the REN Alliance formed in 2004 and now WWEA, I.H.A., ISES, I.G.A., W.B.A. During the life of WWEA we have seen world wind energy generation grow from 59 GW in 2005 to 433 GW at the end of last year and expect to be over 456 GW, in June of this year providing close to 5% of global power demand. In fact more was added last year than had seen built in all the years up to 2005. WWEA has worked both alone and together with other organizations to bring wind energy to the world – developed and developing. In addition, but very importantly, the Association has been at the forefront of the Global 100% Renewable Energy Campaign. This has played an important part in educating both the public and the politicians in relation to the real role which renewables can and must play. This has made the Paris Agreement possible and a reality. Cost has been brought down and the understanding of the role of renewable energy has become for more widely understood. We must all work together to meet the challenges which face us. The world needs to become sustainable – sustainable in relation to its climate – sustainable in relation to its basic needs which include its energy supply. Fossil fuels cannot be sustained indefinitely yet, the world has been burning it to generate electricity and to power our motor vehicles and so much more – burning that limited resource in a dirty and dangerous way, – this does not make sense and should not continue. Electricity can replace fossil fuels for transport, but electricity must be generated in a sustainable way – That is from renewable sources. So over the next two days we will hear from a wide cross section of experts in relation to the actual and potential means by which wind energy can provide a sustainable future. That is both background to WWEA and the reasons we are here. But that is not the only background to where I must refer. For without Prof. Chuichi Arakawa we would not be here. 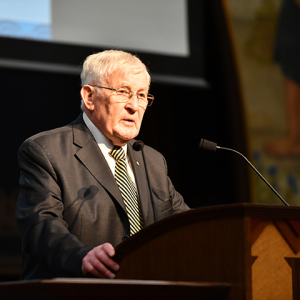 For years he has worked to bring WWEC to Tokyo, and in particular, to The University of Tokyo. We assemble for this conference as a direct result of that work and the other support which he has been able to bring together. May the deliberations in the days which follow, the exchanges or information, ideas and challenges advance the technical efficiency and rapid deployment of wind generation here in Japan and throughout the world. Now my colleague and the Chairman of this conference and the man who has made it all possible – Prof. Chuichi Arakawa will join in the welcome. Ladies and gentlemen, welcome to Japan. And welcome to our conference. It is my great pleasure to have all of you here in The University of Tokyo. I was just given an introduction. Chuichi Arakawa is my name. I am the chairperson of this conference and a professor of the faculty of Engineering of The University of Tokyo. The 15th World Wind Energy Conference. More than 5 hundreds scientists and engineers will be gathering here from 30 countries or more. From today, the 31st of October, to the 2nd of November, we are going to have fulfilling 3 days, including Technical tour to Kamisu, Wind Power Kamisu Offshore wind farm No.1(2MW×7) and No.2(2MW×8), and Kashima port Fukashiba Wind Power station (5MW HTW5.0-126 product by Hitachi, Ltd.). We received more than 2 hundreds abstracts which is the twice number of papers than we originally expected. In this conference, scientists and engineers from all over the world will deepen their discussions and exchange their opinions for advancing the technology of wind power and promoting the introduction of renewable energy. but also Federal Ministry for Economic Affairs and Energy of Germany. In the Opening Ceremony, the International Renewable Energy Agency (IRENA) joins. And United States Department of Energy (DOE) in the Plenary Session. At the same time, a wide range of industries in Japan and throughout the world encourages us to open this conference. Nowadays, the installed capacity of wind energy reached 450 GW in the world. It keeps on increasing and increasing by reason of its inexpensive cost. Japanese technologies of the wind turbine are a great resource in the world. We have enough strong wind turbines which can withstand severe conditions, such as typhoons or complex terrain. We also have offshore wind turbines which aim to be installed in the ocean. However, the installed capacity in our country is only 3 GW. It is just 0.5% of total power generation of Japan. This is the reality of our country. We cannot help but to say that our start is greatly late. In consideration of these situations, we would like to start with the presentations on the leading edge of the technology of wind energy, then discussions follows. For example, various studies on wind turbines and many cases of power plant project will be reported worldwide. Especially, floating wind turbine may attract considerable attention. Because proposals of new systems about floating wind power would be made by not only Japan, but also European countries such as Norway, France, Germany and so on. Additionally, the current status of the development of wind energy will be thoroughly reported from all over the world. Wind turbine developed countries, such as Germany, United States, China will participate and report their status quo. Latin American countries and African countries are expected to boost development. Worldwide participants make us to discuss the role of wind power energy in the near future and consequently we achieve creation a new energy systems centering wind power energy from global perspective. Imagine the future that technology and social science work together to effectively much like the wheels of vehicles, for accelerating the wind power energy not only in the world but also in Japan. I hope all of you grab chances to start discussions based on collaboration between the development of technology and the social scientific analysis for the spread. Fortunately we have good relaxed environment in our campus such as this Yasuda Auditorium or Sanshiro pond. I hope this beautiful campus will provide a good circumstances for deepening the discussions to achieve a bright future of wind energy society. For closing my speech, I would like to finish saying that I hope this conference offer you good opportunities to extend the worldwide network of the wind power energy society. The World Wind Energy Association and the WWEC 2016 TOKYO Organizing Committee welcome the presence of those 500 participants from 33 countries attending this Conference from wind and all other renewable energy technologies. The Conference covered all aspects of wind utilization, science and technology, related policies, manufacturing, development, operation, community involvement as well as other economic and social issues. The Conference appreciates the support of the following governments, governmental as well as non-governmental organizations, and all organizations and individuals enhancing the Conference. Emphasis has been placed on the education, understanding, and support by communities in the developing world in relation to the benefits and operation of renewable energy systems, and for the industrialized world to enable this to be achieved. The importance of renewable energy access to the people of the developing world was overwhelmingly acknowledged. Another aspect of community involvement which received attention was the relationship between educated understanding and community reaction to the introduction of wind generation in their immediate vicinity. The psychology of community reaction to the establishment of wind farms was discussed with further beneficial research being outlined. Community involvement and community ownership seem to be important tools in this respect. The Conference recognizes that Japan is currently heavily dependent on fossil fuel combustion. 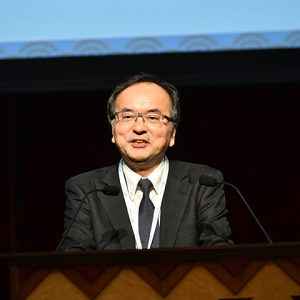 The Conference applauds the Japanese government for its 22 % renewable energy target for 2030 and encourages the Japanese government to take further steps to achieve it and in due course go beyond it. Conference delegates and organizations represented at the Conference have offered support and assistance particularly in relation to realizing the huge wind resource potential of Japan, both onshore and offshore. The Conference appreciates the opportunities provided by the UBA and IRENA side events and expresses its gratitude to the organizers and participants. The launch of the Innovation Outlook Offshore Wind by IRENA during the side event was a highlight of the Conference which has a special significance for offshore development worldwide and in particular for the Japanese participants who are further exploring the potential of offshore wind generation for Japan. The significance to the world of the agreement reached at the Paris UN Climate Change Conference was noted by many speakers as was the fact that it will become binding two days after the conclusion of this Conference. The Paris Agreement paves the way for a 100 % renewable energy future for the world. We look forward to the remaining nations to complete their ratification and we call on all governments to accelerate their implementation programme and remove barriers on the way to a renewable energy future. 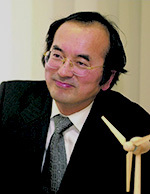 The Conference applauds the making of the World Wind Energy Award 2016 to the 195 governments plus the European Union which have participated in achieving the paradigm changing Paris Agreement as well as the World Wind Energy Honorary Award for Prof. Dr. Izumi Ushiyama for his role as pioneer and leading scientist in the development of wind power in Japan and worldwide. 10. Recognize the importance of the concentration on the role of science and technology in achieving rapid development of renewable energy both past and ongoing. 11. Encourage all wind energy stakeholders to participate in the next World Wind Energy Conference to be held in Malmö in June 2017.